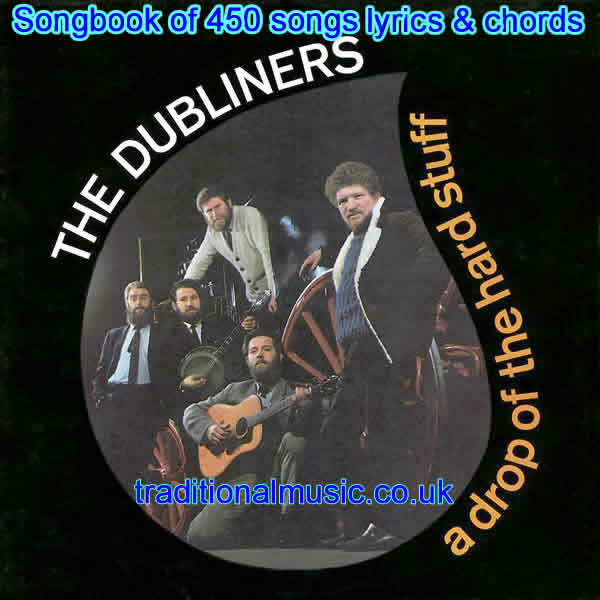 The Dubliners Songbook (450+ songs) with lyrics and chords for guitar, ukulele banjo etc. Also with PDF for printing. Many of the songs on this site are in the public domain or traditional categories, however this cannot be guaranteed, and should you wish to use them as a basis of a performance or for any non-personal study purpose you are advised to contact the copyright holders (where available, copyright info has been included with the song). These transcriptions are made by many different individuals from all over the world for their own research and instruction, and as such are liable to great variation in interpretation and opinion. They are being shared on this site for educational purposes only, please see our copyright page for more info. Should you need version of the song, for printing (without banners or adverts) an PDF file is available for downloading by the link at the bottom of the song pages..